This statement is designed to create tension because without that we may well continue to do what we have always done and that is to deliver reading, writing and mathematics in an increasingly effective manner with no change in our practice. Thus, if we don't shift, we are preparing our students well for the industrial age, in which recall and regurgitate of information was the backbone of education. Stating the obvious, we are no longer in the 'industrial age' and education serves very different needs that demands us to shift our thinking and practice. 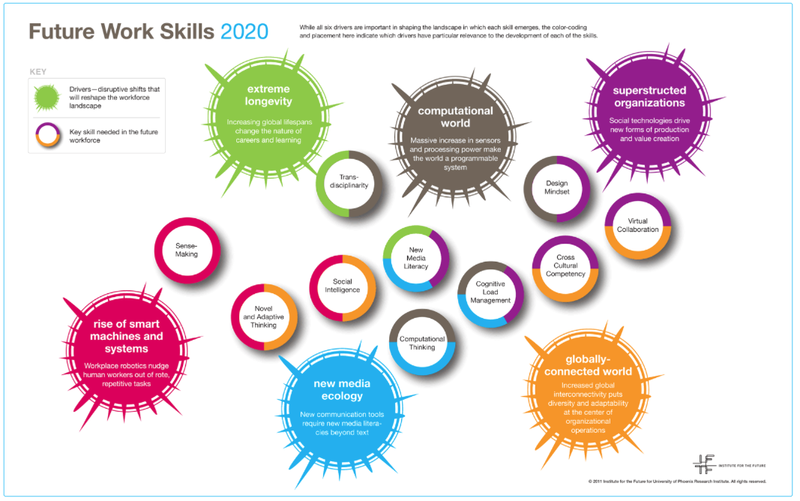 Future Work Skills 2020, lists the following as key skills and we need to make our curriculums about them not the subject silo approach of reading 9-10am, writing 11-12pm etc as powerful learning takes place when learning is connected. Recently, at Hobsonville Point Primary during a parent information evening, Daniel (principal) posed this question to parents. 'Would you go to a dentist who was practising in the same manner that they were 20 years ago? This was prompted by parents making sense of practices such as Project Based Learning (PBL) and understanding how learning fits into this model. In 2013, we opened the new school and we wanted the kids have a strong sense of belonging and to dream big in their aspirations. So, we did something something that was a little uncomfortable for many of us. We took off the control hats and handed-over to the kids. PBLs began very organically, the kids needed sports gear so we let them go shopping and kit out the gym, they wanted art up so we let them create murals, they needed more technology so we listened to them and facilitated purchases, they wanted to do a trip together so we let them organise it. The list goes on... we went from 'sages on stages' to the 'guide on the side' and began to change some of our practices. The practices of PBL aligned to our values of collaboration, innovative practice, personalised learning, relationships and authentic learning. 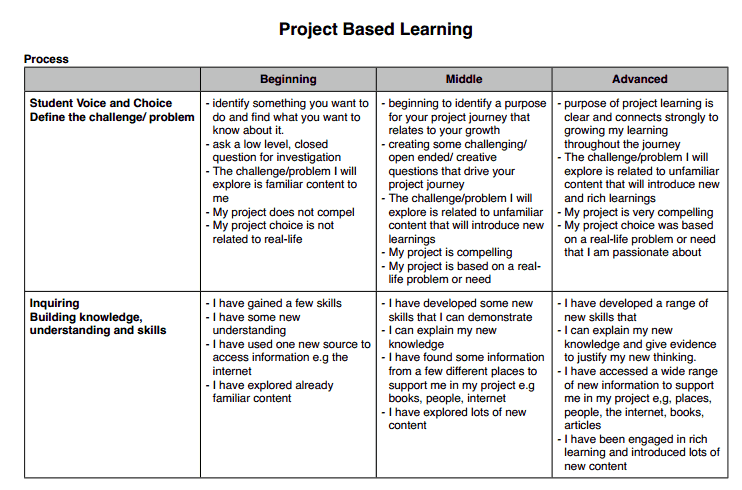 Through PBLs we have seen student's delve into projects that they are passionate about, experience a connected curriculum and reflect on the way they felt when projects succeeded or failed. We see mistakes as opportunities to learn, and creating an environment where students feel free to take risks and make mistakes is an important part of the process. So too, is allowing PBLs to take a natural course. 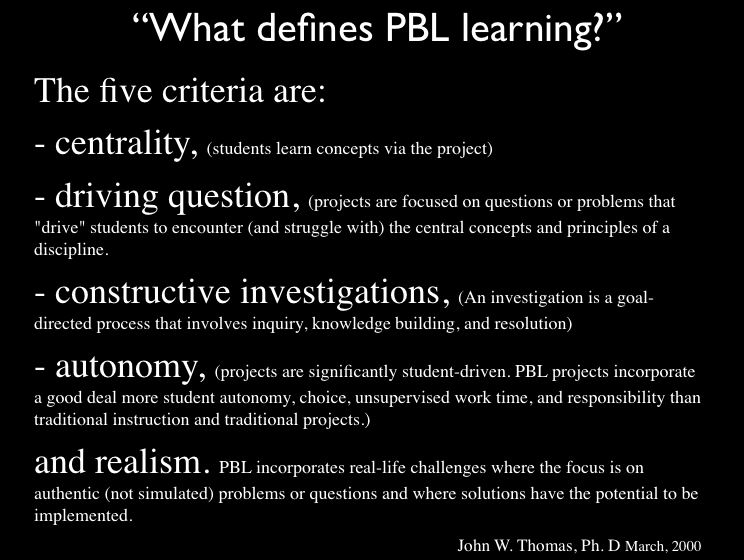 There are some elements to PBLs that make them different to other similar modes such as problem based learning, inquiry and design process. We do not take a cookie cutter approach to PBLs and use other similar processes such as problem based learning or we apply the design process to suit the students design. The key is expanding on the students wondering/curiosity/interest or passion which naturally leads to engagement. Sometimes students, do not know, what they don't know so we provide a period of immersion into new learning which leads into projects. As students become more comfortable we notice that they tend to take greater risks in their projects and many still start out with safe options that they are familiar with and this gradually improves. We treat this as a reflective learning opportunity for them. We provide scaffold tools to assist students in making connections in their learning, across the learning areas and also provide frameworks in which they can record their thinking. They document the process visually (through blogs) or photos and in the case of the juniors, through learning stories. projects are co-constructed with Learning Advisors and learning goals are set and reflected on through this process and at Individual Education Meetings. These take place once a term, and are the main part of our reporting with parents, students and Learning Advisors. 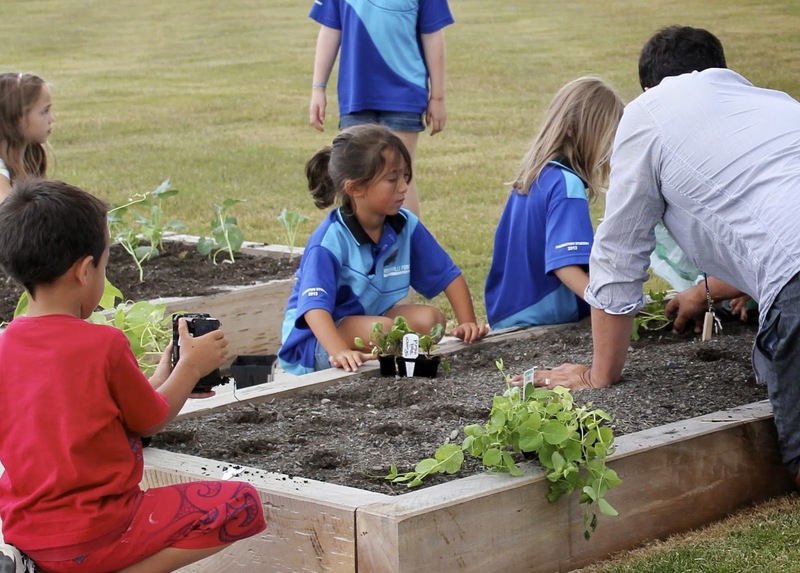 PBLs are an evolving part of the curriculum at Hobsonville Point School, and it is student voice that is driving them. We have developed a curriculum model to help demonstrate how they fit into the big picture of what we do and they seem to be playing a big part in us living out our values. Personally, it is the energy that they create and students engaging authentically in some of the core basic and also dispositional growth that excites me. Most of all they are fun! On the front of the slide below, you can see students who recently organised, planned and ran a gala day to raise funds for their E.O.T.C experiences. 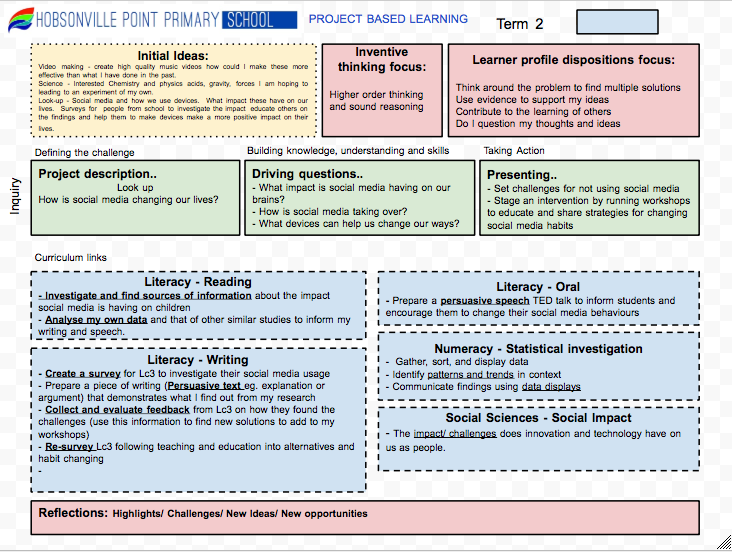 It is a great example of a collaborative, student lead PBL that had a real impact on them as learners.